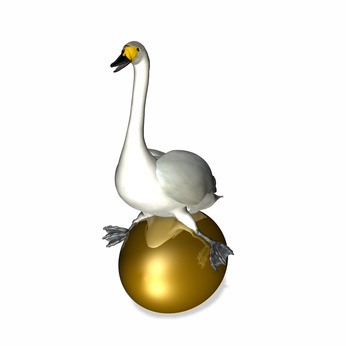 A compliance dilemma as Easter approaches…Killing the goose that laid the golden egg? Jeremy Clarkson dropped by BBC. Context is everything and anyone can mess up. Including the UK’s Prime Minister. The Jeremy Clarkson story is a perfect example of how to do the right thing (and what to avoid). According to the BBC statistics, Top Gear is the world’s most widely watched factual show, with an estimated global audience of c. 350 million people last year its associated magazine has nearly 2 million readers. We understand that Top Gear generates c. $225 million for the BBC. Jeremy Clarkson is synonymous with the show and is hugely popular. We watch it and in the words of the Director General of the BBC, Tony Hall, Jeremy is a ‘huge talent’ who has made an ‘extraordinary contribution’ to the BBC. The essence of the incident in question (as told by the BBC’s findings following its own investigation) is that on 4th March a member of staff on the Top Gear team – who is a completely innocent party – took himself to Accident and Emergency after a physical altercation accompanied by sustained and prolonged verbal abuse of an extreme nature by Jeremy Clarkson. The story has claimed the front pages of the UK media (and plenty of copy around the world for the last few days). The BBC’s Director General’s decision was reported late yesterday. said the BBC Director General Tony Hall. Along with this statement, the BBC published its report into facts of a so-called ‘fracas’ involving Jeremy Clarkson and Oisin Tymon a producer on the the BBC show Top Gear. A compliance lesson for us all? While the incident in question has nothing to do with this website, it does contain a very strong compliance lesson for everyone in what has been a textbook way of dealing with a serious compliance problem in the eye of a massive media storm. On the other hand, the BBC got it right. The BBC’s reaction was to investigate the allegations, quickly. They have published their findings and acted upon them in the space of a few days. Which trumps the goose that laid the golden egg.